Are you willing to pay higher taxes for a new jail? The Ingham County Sheriff is hoping people will when they vote on August 7th, 2018. The sheriff took FOX 47's Alani Letang behind bars to show her why he thinks it's a good investment for taxpayers. The sheriff told Letang these county facilities can't take any more band-aids. And it's not just the jail, a judge says the district court facilities are worn out beyond repair too. Both of them told Letang it's about time they get modernized and safer for the people who work in them. "It's long overdue and desperately needed in Ingham County," said Sheriff Scott Wrigglesworth. Sheriff Scott Wrigglesworth said the current jail built in 1964 is so old it can't be repaired easily. Sometimes inmates have to be moved out of a block just for maintenance. "A concrete and steel building, when something breaks it's very very hard to fix and get at it. Especially when plumbing has issues, water always wins over time. It's lived a good long life and it's time for it to be replaced." The proposed model for the new facility, the sheriff said, would make it easier for guards to see inmates and have them all in one place. 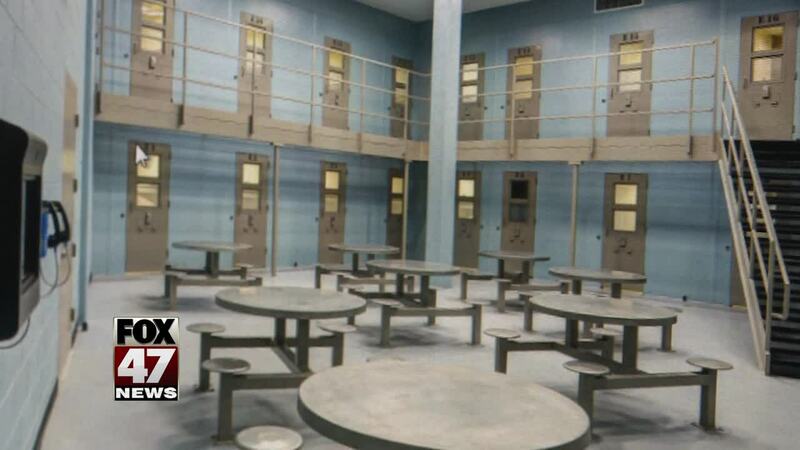 Instead of the current layout where guards have to look around the corner to check up on inmates. "This has been a topic for conversation for about the last 10 years. According to the Department of Corrections, we are the oldest large jail still in operation in the entire state," said Wrigglesworth. This millage is not just asking for people to build a new facility, they are asking for them to help in the programming part of it as well. "For us and our community partners to give the inmates the skills while they're inside and that continuing care when they are released from the facility to make better life choices," said Wrigglesworth. The millage, if passed, would also pay for a new 55th District Court. "Nothing about the building took security into consideration, it just wasn't an issue in the 70's," said Honorable Thomas Boyd, 55th District Court. Judge Thomas Boyd told Letang the courthouse could use some modernization. "We want to stay out in front of the curve so bad things don't happen, we want to learn from people's examples," said Boyd. The millage will also put a mental health and medical resources under the same roof, making the whole operation is more efficient. "All of these agencies working together to provide a better service towards rehabilitation towards the defendants who are now serving," said Boyd. The county commissioners held a public meeting to talk about the justice millage at the county services building at the corner of Jolly and Cedar in Lansing. If the millage passes the owner of a $200,000 house would pay an extra $85/year in property taxes. Construction would start next year. And it would take around two-and-a-half years to finish. Check back to see what voters are saying about it Monday on News Ten at 11 PM.